This image is an exploration of the beauty of natural decay, and the tones of a minimal palette when applied to a rich textural subject matter. This is a peek into the structure of something that we normally value for it’s verdant lushness – stripped by winter yet equally beautiful. This image was created using computer programs to create 3D wireframe objects, which are wrapped or filled with texture created specifically for that object. The artist then uses the software to compose the objects into a 3D scene as originally sketched. 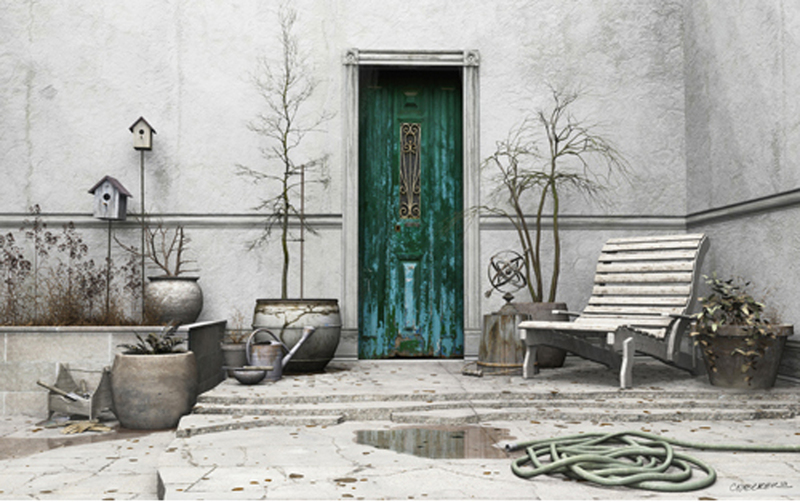 Once the composition is complete, including lights and atmospherics, the scene is rendered – creating a high-resolution 2D image of the finished 3D environment.